USAFA Gymnastics Alums: Please email us your testimonial for posting if so inclined! 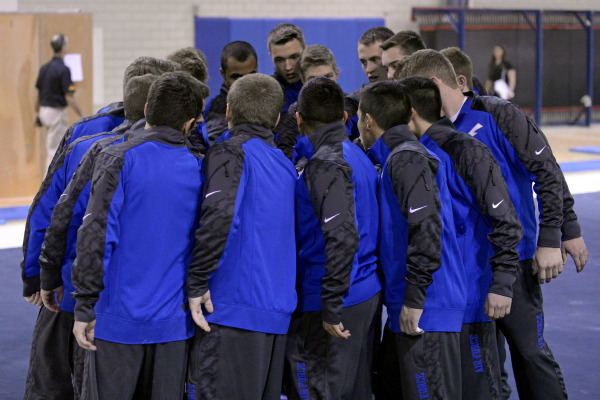 "USAFA gymnastics has been much more than just being a part of a sports team. It has taught me about the family you build through the military and the Academy. Both men's and women's gymnastics teams working together, building each other up, and helping the community and country has been such an honor to be a part of." "Academics were always tough for me, but being a gymnast actually made me a better student and cadet. Why? Because my coaches and teammates taught me how to balance priorities and commitments." "Gymnastics brought me to USAFA... twice. After a medical turn back, I chose to reapply and return to the Academy one year later. As gymnasts at USAFA, we learn to balance not only gymnastics and academics, but all the other requirements of cadet life. This honed discipline and drive undoubtedly helped me succeed through medical school and residency. I am blessed to be part of this USAFA gymnastics family where the support and camaraderie transcend generations." "All I have achieved in my professional life can be traced directly to the USAFA Gymnastics Team. Coach Schier recruited me and gave me the opportunity to attend USAFA. Coaches Schier, Townsend and Burkel taught me leadership, dedication to the team and attention to detail. They also emphasized that success comes from hard work and clean execution, all extremely important in the USAF. The lessons learned from the Gymnastics Team and USAFA still apply in my life today." "Participation in intercollegiate athletics broadens the leadership laboratory we call USAFA. For me, my teammates were and still are family. My coaches were and still are my mentors and friends. The leadership and work ethic I learned from everyone involved with AF gymnastics provided me the foundation for success in both my military and civilian careers."